At work I’m busy moving all the ColdFusion applications from Windows 2003 servers with CF8 to new virtualised servers with Windows 2012 running CF11. Configuring Windows and IIS are also much more complicated than ten or more years ago, but we have that under control now. Most of the ColdFusion (and Java) code transfers without a problem, and I spend more of my time deleting scripts and components that are no longer used than modifying code. Until this week, when I stumbled over a script that shows an inventory of the active Scheduled Tasks on the server, together with the link to their respective output (which we write to a network drive)… To do that, the code gets the data from the file, and then we put all the data in a handcrafted Query object. The names of the tasks and the links displayed fine, but there was something wrong with the start and end times: “1899-12-30” is not a time! It took me hours to figure out what was wrong, because I was focusing on the date and time formatting functions used to format the data before adding them the query. Why the formatting, you ask? Well, we wanted to sort the data on columns containing start and end times, and in previous versions of CF our solution was to prepare the strings before adding them to the Query – seemed like a good way to make sure that ‘11:00:00 AM‘ and ‘11:00:00 PM‘ turned up in the right place of a sorted column. If you create a query object with the QueryNew function and populate a column with date constants, ColdFusion stores the dates as a string inside the query object until a Query of Queries is applied to the query object. When ColdFusion applies a Query of Queries to the query object, it converts the string representations into date objects. Our code added strings formatted as “hh:mm” to the Query object, but once we filtered or sorted that Query using QoQ those columns were transformed into datetime objects. ColdFusion 11 then adds that time to the default date used, i.e. “1899-12-30“. Clearly, that was not the case in earlier versions of ColdFusion – at least not in CF8. There are multiple solutions to solve this problem, once you know what’s going on – so now our overview displays everything as intended. I’m currently trying to automate the creation of datasources in ColdFusion server instances, in order to facilitate a number of migrations our machines and applications have to go through. For the record: this turns out to be reasonably simple, once you get the knack of using the ColdFusion Administrator API classes (if I find the time, I’ll write about that later). I wonder why developers often invent error messages that do not tell us what really went wrong. In this case, it turned out that I forgot to copy a single closing parenthesis at the end of the JDBC connection string. Let’s call that a syntax error, Oracle, and please give a significant message if I mess up! Or is it Adobe’s ColdFusion that is hiding more explicit and clear details about what went wrong? I appreciate the fun one can have at building programs and tools that do something thought to be impossible. Running Java code on a Commodore C64 is such a project. Back to the Future Java (b2fJ) aims at bringing the power of Java to 8-bit home computers of the ’80s. This project provides a toolchain to cross-compile Java programs under Windows. You’ll find everything about “b2fJ – Back to Future Java” on Github. The language isn’t new: Kotlin was created more than 5 years ago by JetBrains engineers. A preview version was released in 2011. Kotlin is a statically typed programming language for the Java Virtual Machine (JVM). Being crude, you could say that it’s “just another” enhancement of the Java language, just like Groovy or Scala. Nice, but hardly indispensable. And its applications extend well beyond Google’s platform. Like Java, it can be used to write apps that run on desktops and servers as well. Plus, JetBrains has released tools for translating Kotlin code into code that can run on iOS or even in web browsers. All of which is to say, you can expect to find yourself using apps written in Kotlin more and more often in the coming months and years. I have not yet written a line of Kotlin, but perhaps I should try that sooner rather than later. Since I’m also looking at Apple’s Swift language, the combination of learning both could be beneficial… or problematic, since someone asserts that both are quite similar (but not the same, of course): see “Swift is like Kotlin” for details. Of course I’m going to try this out: “Huzzah, Visual Studio for Mac is now available to all“! Last weekend, I spotted two old BMW motorcycles on the road in the port of Antwerp (Belgium). I had my camera in my hands, so I managed a few badly-framed photos – you can see them on Flickr. By chance, I also spotted an advertisement for a similar bike. 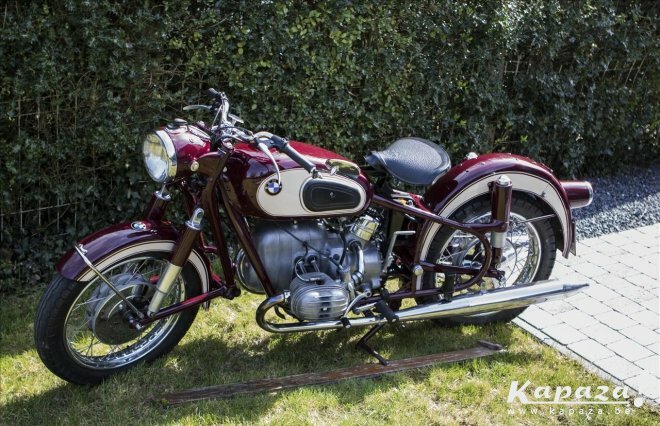 I don’t pretend to be a specialist on the subject, but I haven’t seen many BMW R50/2’s in this color scheme (not even on Google Images), and I find this combination quite flattering! When I said I found this “zoekertje” by chance, I meant that I just had a quick look at the Kapaza website, because the site announced just last week that it will be closing down in a few days. I have visited that site, with its thousands of advertisements for second-hand stuff in many categories, while on the prowl for say another bike or a special lens for my camera. Kapaza is (was) one of the few big Belgian websites that used ColdFusion for at least parts of its site, and that made me pay a bit more attention to it also. This is one more website that won’t last half a century and more, unlike the motorcycle shown here! Weird, heh? The required file was there, so why could CF11 not find it? Adding an ‘Application.cfm‘ did not help, neither did repackaging the code in a CFC. On CF8, on the other hand, everything worked as expected. So what was going on? Funny you should mention that the issue is inside an /api folder. I’m trying to track down the same problem, except I’m directly accessing an index.cfm (sort of — onRequest intercepts the request and redirects to CFCs as appropriate — it’s a Taffy API) and I’ve found that renaming the folder from /api to … literally anything else… works fine. It’s almost as if something in CF has special meaning at /api, like the special /rest mapping does. Indeed, renaming my directory solved the problem – too bad it took me so long to find the cause. On to the next problem!